Here's a little snap of me from last summer in one of my super easy throw on white dresses that has gone everywhere from a day event to the movies. Heels, Converse, lace up flats...it all works. 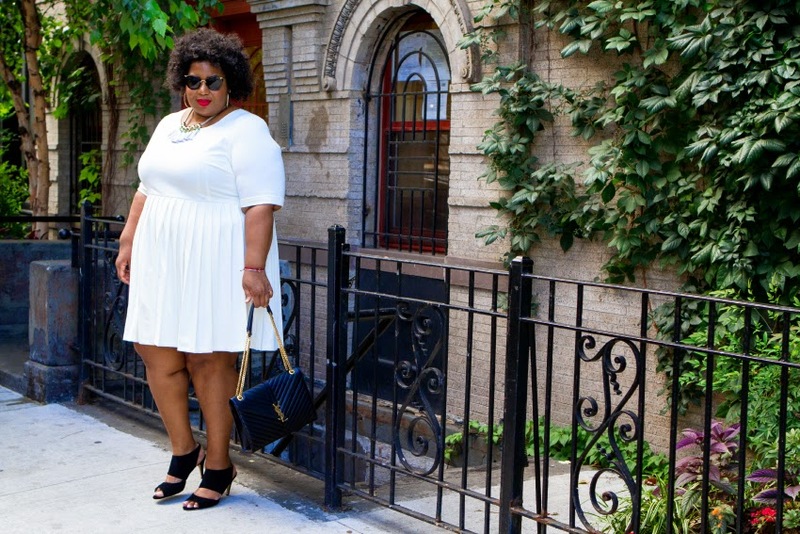 If you wear dresses, a white dress is an absolute must. It just looks so fresh. If you're a little nervous about wearing white here are a few tips, some of which I've shared before! 1. Don't lay down on the ground. You will get dirty. 2. Do throw your shoulders back and stunt on basically everyone. 3. Don't hold a toddler who considers your lap sidewalk - see tip one...you WILL get dirty. 4. Do not be afraid to pair white with other neutrals. I know many will say "add a pop of color! ", but there is something terribly chic about white with nudes, tans, greys etc.